Bridget Mannion was born on February 1, 1865 in Rosmuc, County Galway, Ireland. She emigrated in 1885 to St. Paul, Minnesota. Bridget worked as housekeeper for Seattle Pioneer Henry Yesler, before settling in Chicago, where she became cook to the wealthy family of Portus B. Weare, head of the North American Trading and Transportation Company which operated merchandise and transportation facilities in the Yukon. In 1892 her employer held a dinner party for Captain John J. Healy, another Irish born adventurer and his wife Bella. Whether it was the prospect of becoming wealthy or her innate sense of adventure, Bridget became determined to go to Alaska and persuaded the Healy’s to offer her a job as Mrs Healy’s maid. From the Healy trading post in Dyea, she moved up to the Yukon. By the winter of 1894-95 there were only twenty eight white women living in the Yukon amongst one thousand men. Unsurprisingly, Bridget received 150 proposals of marriage before she had got fifty miles up the Yukon, but it was Edward Aylward who would capture Bridget’s heart. Edward Alyward was born in County Kilkenny, Ireland in November 1849 and emigrated to the US in 1867. He went mining for gold in Alaska in 1884 and in 1894 he met Bridget at a Yukon River Trading Post and convinced her to marry him. Their wedding was the first ever held in Fortymile, about 150 miles southeast of Fairbanks, Alaska. Around 1900, Bridget and Edward left Alaska with their fortune and moved to live on Seattle’s Capitol Hill. A Seattle newspaper dated 3rd September 1896 carried an article about Bridget calling her the ‘Queen of Alaska’. Edward died on 29th March 1914. He is buried in Seattle’s Calvary Cemetery. Following the deaths of her sister and a friend, Bridget longed for home. 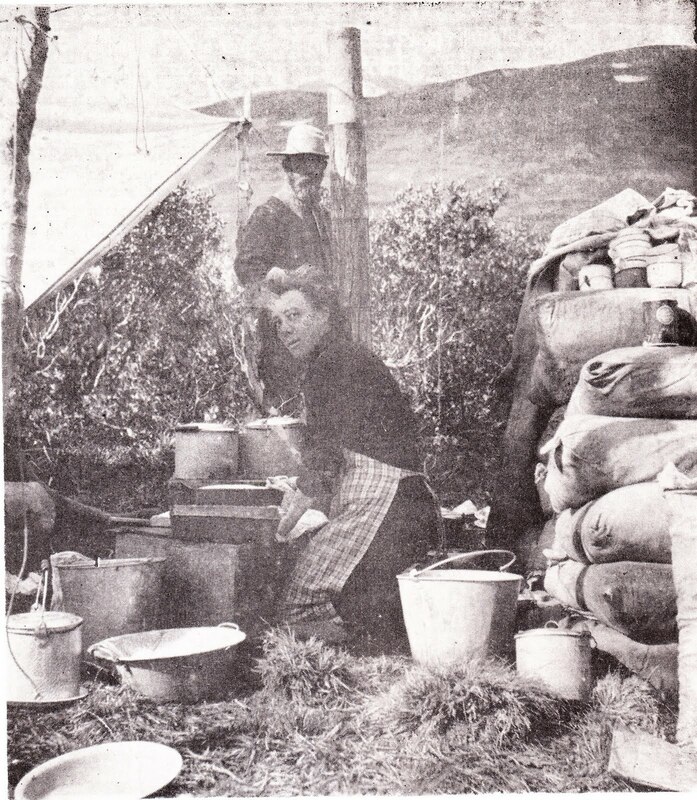 She acquired property in Rosmuc and eventually returned home to Ireland in 1948. Bridget died at her beloved Turlough, Rosmuc, County Galway in January 1958, just weeks short of her 94th birthday. She is buried with her mother in Cill Eoin graveyard . Even in death her generous spirit lived on, and apart from bequests to family, neighbours and the local church, she set up a trust fund for the education of local children. 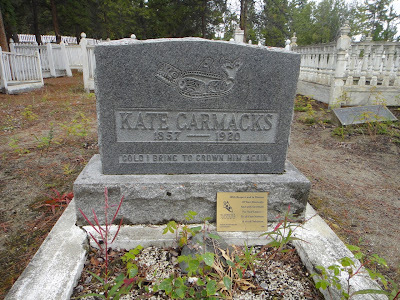 I have blogged about Kate Carmack (or Carmacks as it is on the headstone) before. But this weekend while we were traveling up the road, we stopped at the Carcross Cemetery and photographed the headstone which I don’t believe is found anywhere else. 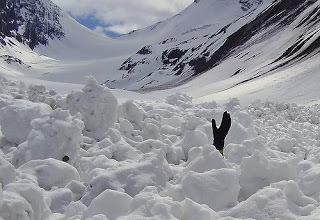 Most folks have heard of the April 3, 1898 avalanche and how it swept away 100 people, with about 85 people dying and being buried in the Dyea Slide Cemetery. But have you heard of the strange case of Arthur L. Jappe and his “sweetheart” Vernie Woodward who saved him? Pierre Berton wrote that when Jappe’s lifeless body was dragged out of the snow, Vernie was beside herself. Now, not being one to stand by and accept things, she worked on him for three hours, moving his arms and legs, pumping on his chest and breathing warm air into his lungs. Smart girl! It worked! Jappe came to – and supposedly uttered her name. We all assumed they lived happily ever after, but no, when I looked into it, I could not find Vernie at all, but I did find Mr. Jappe – and his wife and 5 kids back in New York. Turns out he had gotten married to Katherine Henrietta Reuflei in August of 1897 and had gone to Alaska soon after. So he must have returned after his notoriety of surviving the avalanche. The Dyea Trail newspaper of the time reported that Jappe feigned ignorance of his relationships with Vernie, but it would seem that after the newspapers blew the story all out of proportion, poor Jappe felt the need to return to New York and do some explaining. Pierre Berton, The Klondike Fever p 265; Snowstruck: in the Grip of Avalanches by Jill Fredston; familysearch; One Came Late by Allen p 319. In January 1945 Della Murray Banks wrote an article in the Alaska Sportsman Magazine about her work on the Dalton Trail. She and her husband Austin Banks had made previous trips to the Chilkat area – in 1896 she was burned at Cook Inlet and lost two fingers on her left hand. Back in Seattle, in 1898, they were hired by Denison Tucker and the infamous Homer Pennock to lead them to the Klondike on the Dalton Trail. Early on Mrs. Tucker and her sister Mrs. Hutchins decided to stay behind in Seattle so that they would not get their feet wet. (They also could not cook or eat off of tin plates). In July 1898 the party of about 10 people arrived in Skagway to see the town under martial law following Soapy’s death and subsequent goings-on. Della and her husband went over to Pyramid Harbor to stay instead. They found the English proprietor of the hotel celebrating the Santiago victory. Tucker hired two packers, Jack Noon and Tom McAvoy (who died on today’s date, December 16, 1918). They used a couple of horses, Polly and “Swift”. They found a mule bit for the horse along the way, and near the summit of the Chilkat Pass, they traded that for a regular bridle found hanging in a tree. By the time they arrived at Dalton Post, Della was riding on a fine saddle and with good bridle, both acquired from the dead animals they passed along the way! Would you do this for $50 a month? Apparently she did not even get that, as the consummate con man, Homer Pennock swindled Mr. & Mrs. Banks. 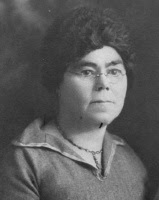 The town of Homer was named by Della Murray Banks, (the first white woman in Homer) before she realized that she and her husband had been swindled. The name stuck, but Della and Austin did not stick around. Hettie, or Ester was born in 1869 in Seabeck, Washington in a logging camp. The physician who delivered Esther Clayson’s youngest sister was a woman and inspired Clayson to enter the University of Oregon’s Medical School in 1894. Her father was an English seaman who had jumped ship in 1864 and brought his family to join him three years later. His attempts to support his family as a lumber merchant, hotel manager, newspaper editor, and farmer were not entirely successful. After such unsteady beginnings, young Esther Clayson decided that she had no desire to be the helpmate of an Oregon farmer or pioneer hotel keeper. For a while, she could not decide between a career in theater or medicine. While theater seemed unreal to her, medicine was “drama in its highest form.” After graduating in 1898 from Medical School she married a fellow doctor, Emil Pohl. 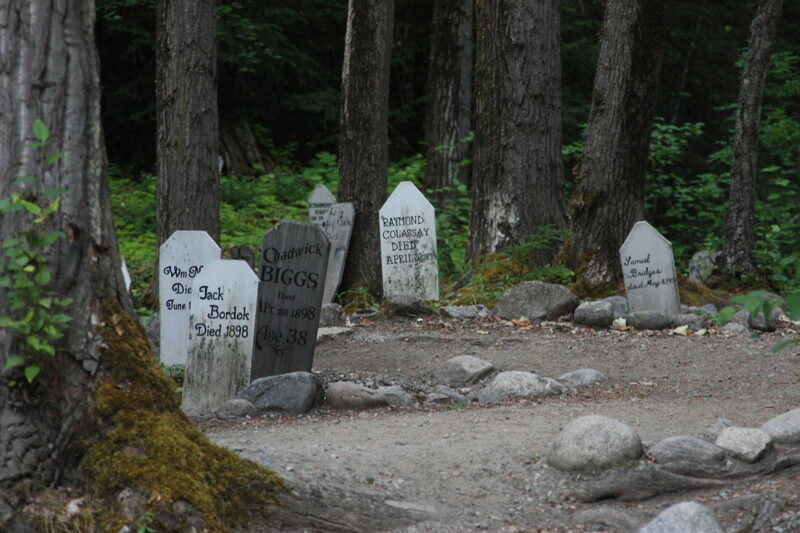 They joined the rest of the Clayson clan in Skagway soon after. As they arrived there was a meningitis outbreak. Hettie and her husband, Emil set up the Union Skagway Hospital to treat the many sick men. The Pohls were indeed heroes of the town in that year. The Clayson family had a large general store called Clayson’s. After the murder of her brother, Frederick Clayson on December 25, 1899 in the Yukon, the family eventually moved down to Washington. The doctors Pohl stayed in Alaska for a few years, but Dr. Emil Pohl himself died in 1911 in Alaska from either spinal meningitis or an encephalitis epidemic. After Emil’s death Ester married George Lovejoy in 1912 and relocated to Portland Oregon. In 1907 Dr. Pohl was the first woman to direct a city department of health, the Portland Board of Health, in Oregon. 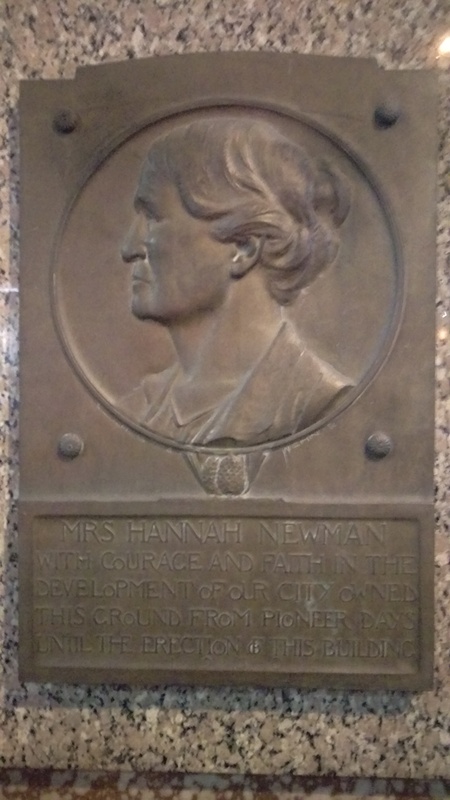 In 1919 she was co-founder and first director of the Medical Women’s International Association. 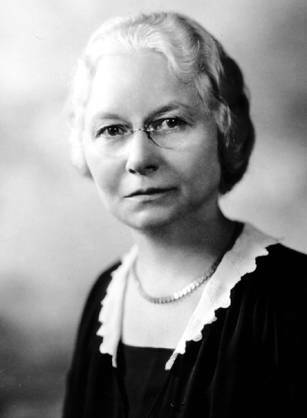 In her lifetime, Dr. Esther Clayson Pohl Lovejoy transformed the Portland Board of Health in Oregon by regulating the milk supply, providing funds for school nurses, and gaining Portland a national reputation for its high standards of sanitation. 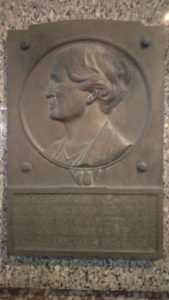 She also helped to establish the Medical Women’s International Association and the American Women’s Hospitals which, under her leadership, grew from an emergency committee for war-relief into an international service organization operating in thirty countries. From 1911 to 1920, Esther Pohl Lovejoy continued her support of women’s suffrage, the League of Nations, and Prohibition, even running for a seat in Congress. She was an outspoken campaigner, publicizing the plight of poor farmers in the Northwest and calling local bankers “bandits” who charged ruinous interest rates in order to profit from the farmers’ misfortunes. Dr. Ester Clayson Pohl Lovejoy passed away on this day, August 17 1967 in New York at the age of 98. Her life is a shining beacon and an inspiration. National Institute of Health: Changing the face of Medicine – Celebrating America’s Women Physicians – online; Murder in the Yukon; Klondike Mission, Sinclair; The Biographical Dictionary of Women in Science by Marilyn Bailey Ogilvie, Joy Dorothy Harvey.